The edge cloud is where the action is. This is where operators plan to deploy new services, and CORD is the becoming the de-facto open source platform of choice – enabling the transformation of this $300B market (we’ll get to that point in a future post). CORD has made truly tremendous progress in 2017 with 60 participating companies and global operator interest. CORD keeps getting better, and the ecosystem keeps getting stronger. CORD has always leveraged an innovative combination of SDN, NFV and cloud technologies that come together into a compelling solution. We enable innovation (and reduce costs) by leveraging disaggregation, open source and white boxes. In previous releases CORD came as a base distribution providing pre-integrated support for residential subscribers; separate VNFs for mobile and enterprise subscribers were available but required a sophisticated level of expertise to onboard and build different ‘flavors’ of CORD (M-CORD or E-CORD). The path of parallel development of the various flavors of CORD enabled rapid innovation, but as a result assistance from the ONF Lab was typically required to adapt CORD for the varying needs for mobile and enterprise services at the edge of the network. Now, with CORD 4.1, we have a SINGLE platform for the multi-access edge. This results is one platform combining Residential (R), Mobile (M) and Enterprise (E) services. We’ve also expanded our service inventory to include 25 total VNFs with the CORD 4.1 distribution. Let’s not forget customization — which has become a lot easier with CORD. 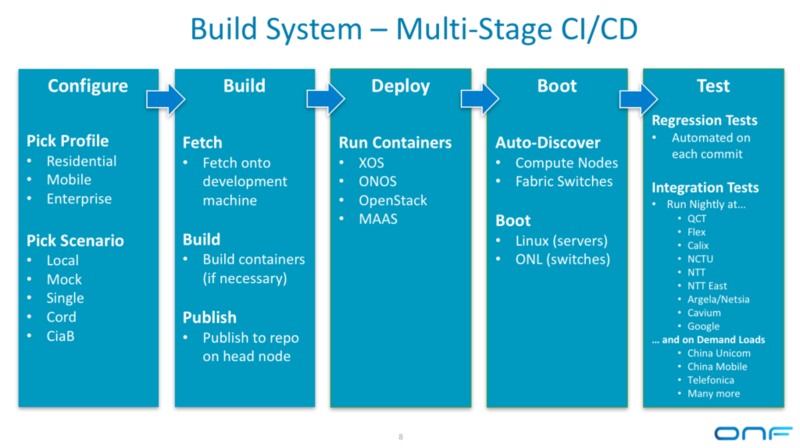 In line with our early vision, we have built in further features and tools to enable CI/CD build processes for devops-style development and deployment techniques. Simplifying customization fuels increased flexibility: hardware choices can be swapped, vendors can add/replace VNFs and operators can customize to best suit their particular needs. 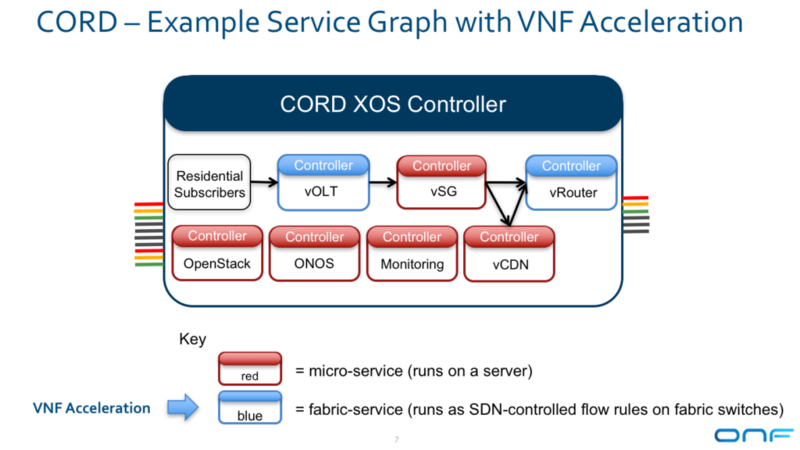 CORD also includes the ability for certain functions to run completely in the SDN network fabric. Conventional VNFs all run on x86 servers. CORD, on the other hand, pushes functionality into the fabric where possible, yielding a 100x performance improvement (yes – that’s 100x – 2 orders of magnitude). And CORD will continue to push the envelope here, with near-term plans to provide mobile core EPG offloading in a P4-enabled fabric early next year. CORD is transforming the operator edge. We’re an open project hosted by the ONF. If you’d like to learn more, post questions to or join the cord-discuss mailing list. ONF Mailing List – to track the broader range of ONF activities.